We spend hours on end at work, and therefore, with our co-workers. With so much time together, it is no wonder our relationships with our colleagues can be very intense. Out of these relationships, friendships are often born. That is why, when a co-worker dies, the effect on those with whom he or she worked, is so strong. No doubt, you will mourn the death of your colleague. If he or she was also a friend, your grief will be more significant. The void may even be greater than if a non-work friend died, given the amount of time you spent together. If you and your co-worker weren't friends outside of work, or even particularly close, you will still experience a void in your life. While you may not grieve the loss as profoundly or as personally, it will affect you professionally, particularly if you relied on your colleague to help you do your job. It is unlikely you will have the time you might need to mourn your loss. Regardless of whether you were friends with your co-worker or he or she was just a valued colleague, you will want time to work through your loss—the more personal the relationship, the longer it will take. Unfortunately, when it comes to work, life must go on. When a relative dies, most employers will give you a few days off. 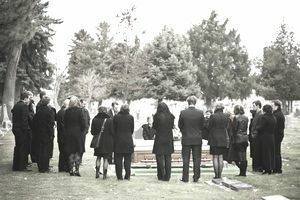 When a close friend dies, you may decide to take a personal day to grieve. While some organizations may close for a few hours so its employers can attend the funeral, most cannot offer more time off than that. Every employee in an entire workplace cannot stop doing their jobs. Even your boss, who may also be trying to cope emotionally with this loss, must put his or her feelings aside to deal with the effect it will have on the overall functioning of the organization. The departed employee had a specific role and, now, it will fall upon the boss to find someone else to fill it. It is not easy to be pragmatic in the face of a terrible loss, but the employer can't eliminate the position merely because the person who filled it is gone. He or she has two choices. One option is to hire a replacement. The surviving colleagues will be forced to accept that someone new has taken over the job and possibly the desk of their departed friend. They may even resent their new colleague, even though they understand that it is illogical to do so. In the long run, however, it is superior to the other choice: having the survivors take on additional work. Although work goes one, it doesn't mean your mourning ends. You and your colleagues can find ways to share your grief over the loss of your co-worker. Find time to get together at lunch or after work to discuss your feelings and your memories of your late workmate and friend. If you are having an extremely tough time dealing with it, consult with the human resources department about having a professional come in to help. Some organizations have employee assistance programs (EAPs) that can provide counseling. When everyone is feeling up to it, organize a memorial service. This is especially important if some people were unable to attend the funeral. There are also several ways to channel the loss of your co-worker into something positive. One way to do this is to hold a fundraising event for the co-worker's surviving children, his or her favorite charity, or an organization that raises awareness about the illness that took his or her life. You can even ask your employer to help sponsor it. If your organization is willing, name a room in the workplace after your co-worker. It would be especially meaningful if it's one staff frequently uses, like a lunch or conference room. Another option for paying tribute on a regular basis, is to honor him or her at an annual event, such as the company picnic. It can bring people joy to remember your colleague each year at a time of celebration rather than one of grief. A final way to honor your lost co-worker is to carry on his or her professional legacy by setting up a scholarship to benefit students who want to do similar work.